After more than a decade of sober political dramas and social-minded period pieces, the great Japanese director Masaki Kobayashi shifted gears dramatically for this rapturously stylized quartet of ghost stories. Featuring colorfully surreal sets and luminous cinematography, these haunting tales of demonic comeuppance and spiritual trials, adapted from writer Lafcadio Hearn’s collections of Japanese folklore, are existentially frightening and meticulously crafted. 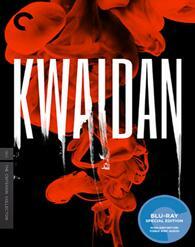 This version of 'Kwaidan' is the original three-hour cut, never before released in the United States. Like some fleeting, momentary recollection of an erstwhile dream from childhood, from so long ago it feels like a tiny, splintering fragment of an obscure, almost exotic past life, Masaki Kobayashi's 'Kwaidan,' an archaic Japanese spelling for "ghost story," haunts the memories of its viewers the instant it is watched, leaving a lasting impression of beauty and chills. Or at least, that's been my experience with this film since the first time I set eyes on it one Sunday afternoon on television in the early 80s. 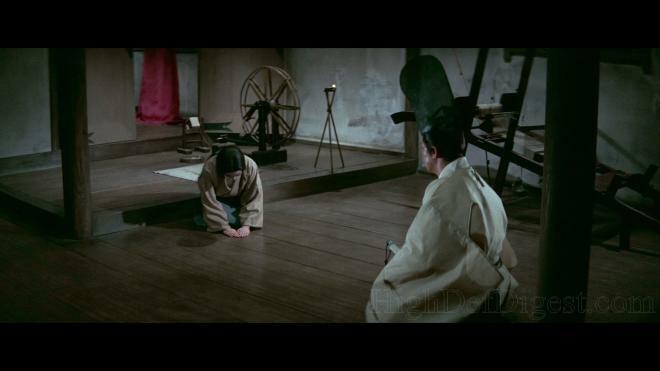 Although I failed to memorize the title and couldn’t remember the plot or storyline, based on a collection of Japanese folktales by Lafcadio Hearn, random images from the movie endured for several years, permanently etched into the back of my mind as if taunting and goading me to never forget it. Seemingly arbitrary pieces and remnants of the production lingered until one day in college, I rediscovered, purely out of luck, Kobayashi’s captivating production of scary visual delights, a dazzling display of sumptuous beauty coexisting alongside the spine-tingling world of the afterlife. This is ultimately the film's most effective aspect — intricately designed curiosities with the potential to frighten as well as enrapture the audience into witnessing the colorful splendor of the things that scare us. Similar to the deceivingly simple opening credit sequence of color liquids contaminating a pure white screen, which interestingly establishes an air of apprehension, viewers are mesmerized and drawn in by the dreamlike nature of the two liquids interacting with each other, dancing with ethereal grace while in complete silence. It's somewhat off-putting and awkward at first, but it’s a marvelous metaphor for the impact Kobayashi has on his audience, devising fantastically picturesque sceneries of idyllic tranquility that ultimately reveal themselves as tattered hallucinations capable of turning monstrous and melancholic in an instant. Although I couldn’t remember the name of the movie until coming across it again later in life, images like these left a lasting effect. These fragments — and several others throughout the movie — were vague yet very detailed images of gorgeousness mixed with eerie creepiness refusing to be forgotten while seeding the desire to be revisited again and again. So few films rarely affect us like this, but Kobayashi's film, for me, often felt like an assortment of leftovers from various dreams of an over-imaginative kid, never to be seen again and eluding comprehension. Like the characters in the movie, I wanted to understand the hallucinations, not shrug them away as figments of the mind. And really, it never actually went away, but endured like one of its ghosts. What my vague romanticism of 'Kwaidan' hints at is back when I rediscovered the film and devoted a great deal of time to better my appreciation of it, I realized that much in the same way Kobayashi's brightly-colored gothic imagery fueled a good chunk of my imagination, it also inspired others, including those who've never even heard of it. This masterful motion picture has existed in the far reaches and dark corners of cinema history like a ghostly apparition watching from beyond with a devilishly suspicious smirk. This eidolon has been silently observing the world — or to be more precise, the world of filmmaking and the horror genre as a whole — as it changed and progressed forward naïvely influenced by its presence, hovering overhead modern attempts at blending visual splendor and elegance with the nightmarishly phantasmagoric. Long before Dario Argentino's 'Suspiria,' Stanley Kubrick's 'The Shining' or any of Guillermo Del Toro's wildly imaginative pageantry of hair-raising monstrosities, Kobayashi transformed bloodcurdling terror into a thing of beauty that could be admired from afar, injecting color and life into four spooky tales about the spirits of the dead living amongst us. In doing this, the Japanese director, better known for his epic war-drama trilogy 'The Human Condition,' subtly commented on the power and possibilities of filmmaking in general. This is made evident right from the start when after half a minute, a black screen changes to white and color liquids swish across the frame in complete silence, making audiences purposefully aware of the lack of sound. In fact, the first of four stories, "The Black Hair," is intentionally made with a mindfulness to the importance of sound and music, generating a creepy vibe and atmosphere with the help of carefully placed noises, their frequent absence and an understated yet pregnant musical score. Although all four stories benefit tremendously from the striking photography and the eloquent art design, none arguably values it more than the second piece "The Woman of the Snow." Deliberately made to look as though it were a live stage production, the tale plays with colors — gloomy, chilly blues in one scene and vivid, fiery orange-reds with energetic yellow hues the next — like a child opening a box of crayons for the first time and allowed to freely pour forth his emotional palette upon a white canvas. The third could be said to be the anthology's pièce de résistance because its protagonist is a blind musician who also loses his hearing. While still in the mode of the filmmaking process, the man's fate is made all the more disheartening when the previous tales told of the importance of the other two senses. But his story also comes with a positive twist because the talent for storytelling is all the more powerful, bringing people of different cultures together to commemorate a shared history and a legacy that has shaped a people into a nation. And it is perhaps this very dichotomy of insightful beauty and terror done with technical complexity and talented proficiency that has relegated Kobayashi's masterpiece to anonymity. 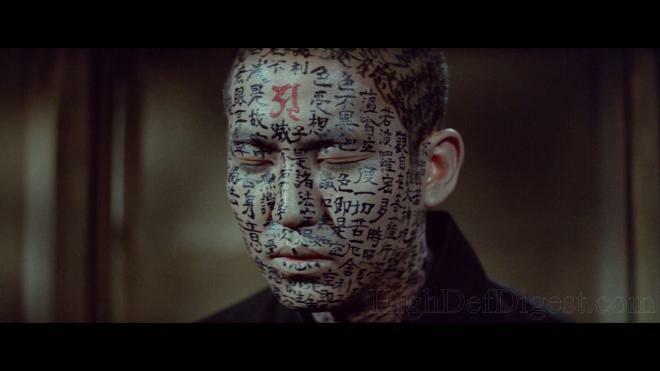 ‘Kwaidan’ remains unknown to most mainstream moviegoers, yet it resides high on the list as a dearly beloved cult horror classic, ranking as one of the most beautiful horror films ever made alongside James Whale's 'Bride of Frankenstein' and Powell-Pressburger's 'Black Narcissus.' In all honesty, the production defies easy categorization, almost intentionally so, never truly committing itself to a particular type. Rather, it seamlessly combines genres for a unique experience that reaches the heights of elegiac visual poetry. 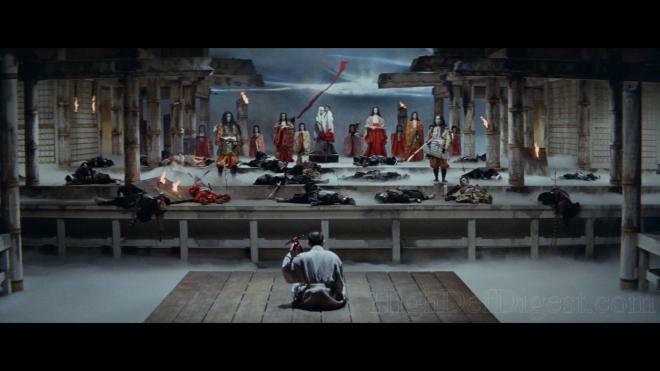 Deserving of more appreciation and recognition for its yet unbeknownst impact on horror cinema, the film's remarkable beauty is not only due to Kobayashi's skillful direction, but also the stunning photography of Yoshio Miyajima, the art direction of Shigemasa Toda, the set design work of Kiyoharu Matsuno, the evocative music of Toru Takemitsu, and so many others. It's a perfect example of different artistic talents and diverse creative minds symphonically collaborating together to design a spectacularly magnificent piece that frankly is nothing short of art, which in this instance is actually a collection of four artistically imaginative and strikingly beautiful ghost stories. This Blu-ray edition of Masaki Kobayashi's 'Kwaidan' comes courtesy of The Criterion Collection (spine #90) on a Region A locked, BD50 disc and housed in their standard clear keepcase. Accompanying the disc is a foldout pamphlet with an insightful essay entitled "No Way Out" by author Geoffrey O'Brien. There are no trailers or promos before being greeted by the distributor's normal static menu screen and options. The anthology of spooky ghost tales haunts Blu-ray with a gorgeous, often stunning 1080p/AVC MPEG-4 encode that scares previous home video editions away, making this version, by far, the very best the film has or could ever possibly look. According to information in the accompanying pamphlet, the original 35mm camera negative and a 35mm interpositive were used and scanned at 2K resolution to create this amazing digital transfer. Close-ups of the cast are continuously revealing in spite of the heavy makeup, exposing every pore, wrinkle and negligible blemish, while the rest of the presentation shows clean, distinct lines in the clothing, surrounding foliage and the various wooden Japanese homes, allowing fans to truly admire the beautifully impressive stage production. Of course, several sequences are understandably softer and blurrier than others, but they are easily excused as the result of the original photography and the condition of the elements. Although the cover art and pamphlet state the film is shown in its original 2.35:1 aspect ratio, it is, in fact, presented in a 2.40:1 frame, which frankly is such a minor difference not worth disputing, only something to point out for those who might actually notice. Nevertheless, the image comes with spot-on contrast and crisp, brilliant whites, allowing for lots of visibly sharp details in the far distance and in the wonderful background matte paintings. Black levels are also well-balanced with strong shadow delineation, giving several moments a noticeable and lovely three-dimensional quality. Primaries are accurately saturated and true to life while cleanly-rendered secondary hues provide warmth, giving the picture a great deal of beauty and a oneiric atmosphere, permitting loyal fans and cinephiles everywhere to appreciate the remarkably dazzling photography of Yoshio Miyajima. Awash with a thin layer of natural grain throughout, providing an attractive film-like appeal, this high-def transfer is a beautiful representation of a sadly underrated Japanese horror film by Masaki Kobayashi. The beloved cult horror classic sends chills down your spine with a fantastic Japanese uncompressed PCM mono soundtrack, which was made from a 24-bit remaster of various archival sources by Toho Co. Ltd. Criterion engineers did a splendid job preserving the original monaural design because the results are incredibly impressive, to say the least. For a film where sound plays an integral part in the overall presentation, this haunting high-rez track will mesmerize and absorb viewers right from the start. Despite being entirely contained in the center channel, the lossless mix comes with a splendidly acoustical presence and fidelity. Dialogue is pitch-perfect and precise with detailed inflections and nuances in the voices of actors. The minimalist but nonetheless evocative music of Tôru Takemitsu widens the soundfield somewhat, giving the entire screen a captivating sense of space and depth, while the mid-bass range provides weight and gravity to the lower octaves in the orchestration and action. The one thing holding the presentation back slightly is a mostly uniform and limited mid-range, as there appears to be little to no movement in the upper frequencies. However, this is all likely due to the age of the source and the way it was originally intended, meaning it should not be marked as a fault of the codec. The film still comes with several instances of high-pitched sounds and sharply-piercing noise that remains clean and detailed throughout. All in all, this is a first-rate and brilliant audio presentation of a marvelous motion picture that genuinely deserves more love and appreciation by modern moviegoers. As a side and unfortunate note, the subtitles are not CIH friendly, so some minor adjustments will have to be made for those with the capability to enjoy the film as it was intended. 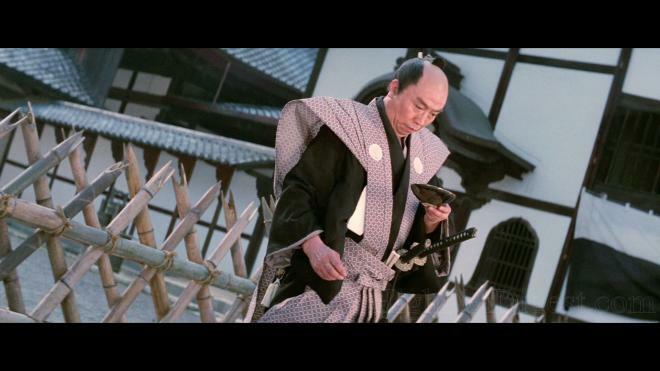 Audio Commentary — Film professor, historian and author Stephen Prince covers a wide range of topics surrounding various areas of Kobayashi's film. Making for an interesting and enlightening listen, Prince touches on the director's background and oeuvre, specifically how this film stands out, while also analyzing the production and its technical achievement. Kioshi Ogasawara (HD, 22 min) — A recent interview specially recorded for this release, the assistant director of the film shares various anecdotes and memories from the production while also touching on the film's many themes, technical aspects and the 183-minute version versus other cuts. Lafcadio Hearn (HD, 17 min) — Another piece made for Criterion has American literary critic and professor Christopher Benfey profile Hearn's works along with the specific book that inspired this film. Masaki Kobayashi (1080i/60, 15 min) — Originally made for the Director's Guild of Japan in 1993, filmmakers Masahiro Shinoda and Kobayashi chat extensively about the production and its somewhat troubled history, but they also share their thoughts on the finished film itself. 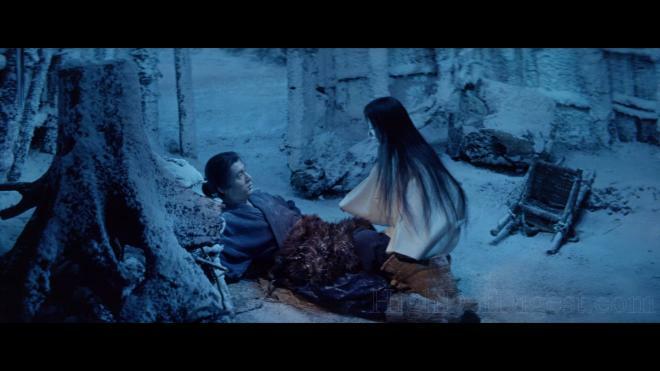 Ranking as one of the most beautiful horror films ever made, Masaki Kobayashi's 'Kwaidan' is a haunting viewing experience, telling four creepy ghost tales mixed with amazing, striking visuals that linger in the mind long after the film is over. Sadly, this beloved cult horror classic remains largely unknown to mainstream moviegoers. Nevertheless, The Criterion Collection brings the film to Blu-ray with an outstanding audio and video presentation that easily bests any previous home video editions. With a small but still entertaining assortment of supplements, the overall package is recommended.